Breaking Out the Red Glimmer Paper! I am in LOVE with the Red Glimmer Paper, so I hoard it. I use it sparingly because I have 1 sheet left and if for some reason it’s ever discontinued, I will be sure to have ONE SHEET LEFT! I suppose Valentine’s Day is a great excuse to use something I love to make a special card for someone I love. 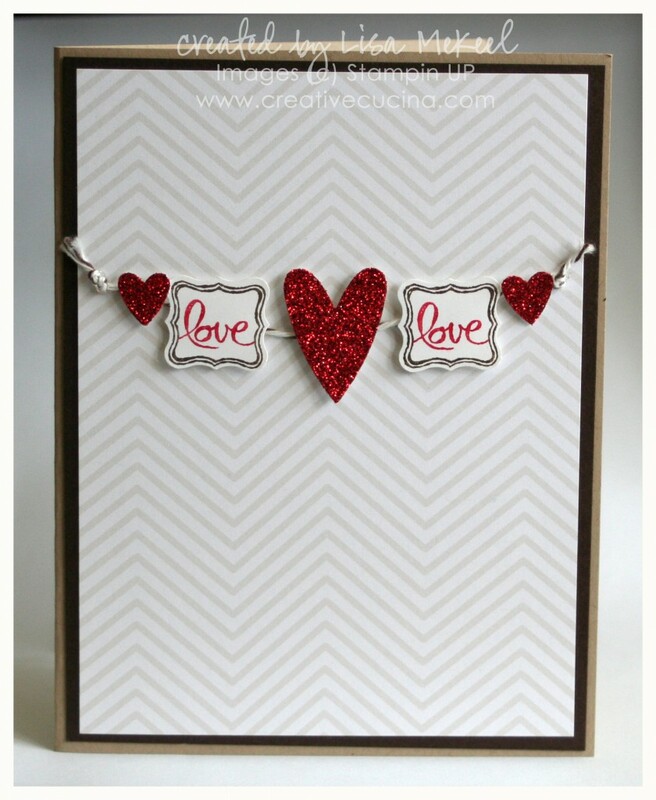 This is a clean and simple card that I made using the Ciao Baby stamp set from the Spring 2013 catalog. It coordinates with the Petite Curly Label Punch, which was FREE with a $50 purchase during Sale-A-Bration. I also got the Pretty Petites stamp free from SAB to coordinate with the punch. The base is Crumb Cake card stock, layered with Early Espresso and Urban Oasis Designer Series Paper (retired). That pack of paper is one of my all time top 10 favorites–it’s beautiful. 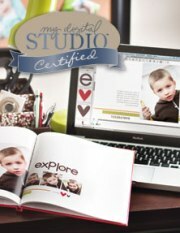 Good thing it’s a Digital Download available for My Digital Studio now! For the focal point, I used Early Espresso Baker’s Twine and knotted both ends in a double knot, attaching it to the card with mini glue dots. Then, I colored direct to stamp with Early Espresso and Real Red Markers, and stamped on Whisper White card stock. I punched them out with the Petite Curly Punch. The hearts are punched from the Red Glimmer Paper using the Heart to Heart Punch. I attached everything to the card on top of the Baker’s Twine with stampin dimensionals.